The term “pit bull” does not refer to a specific breed of dog. It’s a generic term applied to American pit bull terriers, American Staffordshire terriers, and hundreds of mixes containing elements of these breeds. DNA analysis shows that most “pit bulls” are predominantly made up of other breeds – from Lab to poodle. The term “pit bull” designates an appearance, not a breed. Pit bulls are family-oriented dogs, blessed with a tremendous sense of loyalty. 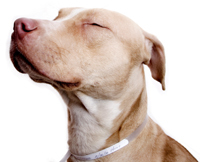 Pit bulls score at or below average for aggression when compared to other dogs. Temperament evaluations by the American Temperament Test Society give American pit bull terriers a very high passing rate of 82.6 percent. The average passing rate for the other 121 breeds of dogs in the tests was 77 percent. Dogs are not naturally aggressive. Almost any dog can be taught to be aggressive, and, like many other breeds, pit bulls are strong dogs who can inflict real injuries. However, the evidence shows clearly that this is not a dog problem, but a people problem. The needless, senseless, killing of homeless pets at animal shelters comes at an enormous economic and moral cost. Public and private agencies spend $2.5 billion each year caring for and /or killing homeless dogs and cats. Pit bulls represent one in four of all animals taken into shelters. More than 80 percent of pit bulls in shelters will die before their second birthday. 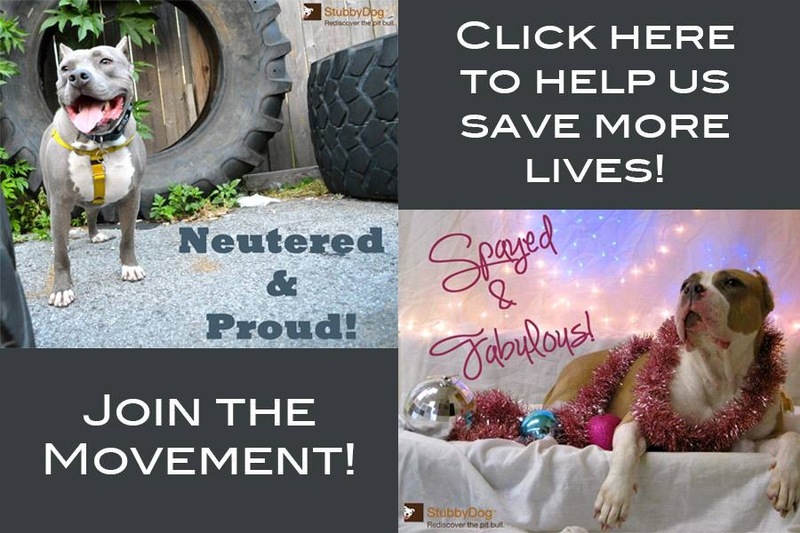 “No neutered or spayed family pit bull has ever killed anyone.” Do you have a citation for that? I would love to share that fact with doubters but I’m afraid if I don’t have a source they won’t believe me. Fact: No single neutered household pet pit bull has ever killed anyone. Karen Delise, Founder and Director of Research for the National Canine Research Council, and Author of The Pit Bull Placebo: The Media Myths and Politics of Canine Aggression (Anubis Publishing). @StubbyDog Thank you! I’m always looking to spread the facts about pitties. It’s nice to have more ammo! Hello Ladies! Which of the facts above would you like the sited article for? Thanks! I appreciate the facts/factoids. I have long wondered about pitts–had some wonderful experiences with them, they’re very goofy and friendly, but always heard bad things about them. Then, my cousins had a dalmation that essentially went schizophrenic, which was an inbreeding issue. Have dealt with several badly-trained or untrained dogs that were very aggressive, attacked my childhood dog or came after me. My daughter had to deal with an aggressive young pitt-bull coming after her, but I wonder if that wasn’t because the dog was in water and may have been a poor swimmer, and panicked? My daughter and I are not big on dogs–not dog-lovers, but not dog-haters either, just neutral and somewhat easily put-off by those who are aggressive, loud, or jumpy. SO WE DON’T HAVE DOGS, why don’t neglectful and abusive people follow that BASIC rule??? DUH!!! Glad to know that this specific breed does not have any actual aggressiveness issues related to genetic pre-disposition. Makes it easier for me to relax around the well-behaved pitts I run into in my travels! @LolcatWolf We are glad that you now feel better and realize from what you say, that dogs are just dogs. And usually a product of their environment. We have a beautiful desexed female pitbull, Ruby.She is all the nice things on this site – a very loving, affectionate animal (if only she wasn’t so jealous! She hates me hugging my grandchildren, gets all upset and whimpery). She is generally very good with “new” people, but she is a holy terror to other dogs. Can’t help it, of course – like all varieties of bull terrier her ancestors WERE bred as fighting dogs, and she just has those old “fighting genes” in spades. Ruby thinks she is a “superdog” and given the opportunity she will attack dogs much larger than herself (she has scars on her nose to prove that she doesn’t always come off best). As for small dogs – she seems to have a fixation that they are a kind of rabbit. Owning a pittie DOES carry a lot of rsponsibility. For their size they are VERY strong dogs, and once arroused they can be (Ruby is) quite fearless. Like all the really intellient dogs – they get bored easily, and CAN go psychotic, especially when they are mistreated or neglected. They don’t take kindly to lonliness. Good training and a loving home are the key – and a realistic view of any undesirable character traits (which all dogs, and all people for that matter, do have). DON’T trust a pittie (or any other breed of dog for that matter) alone with very young children. We’re none of us perfect. I believe you are generalizing your poorly socialized dog’s traits onto the breed. Watch Cesar Milan and how his pit bulls behave toward other dogs and people. I hope you are not prejudging an individual animal you have never seen by describing her as “poorly socialised”. Ruby is a great dog – like a lot of other dogs, pitbull or not, she does have a “thing” about other dogs. I am becoming elderly and rather infirm and don’t have the chances I used to to take her to places she can meet other dogs which is a shame. I also blame a lot of it on the stupid German Shepherd over the fence who really IS agressive and barks a lot. Both us and our nieighbour have had to do some work on the fence that keeps them apart.The point I was making is that while pitbulls on the whole are wonderful dogs and that the silly hysteria about them is just that (silly hysteria) it does the “breed” no service to suggest they don’t have a streak of natural canine agressiveness. This, togther with their courage, strength, and loyalty do mean that they need responsible owners. And training (“socialisation” if you like). I might add that Ruby also had a very strong tendency to puppy vandalism which she has (mercifully) outgrown. If you can raise a typically naughty pittie pup without losing a pair of shoes or two you are doing well. I appreciate that a site like this is meant to counter hysterical nonsense about our beautiful, loving animals, but the opposite tack – convincing people that owning a pittie is just the same as owning any other dog – is also a bit “off”. Whatever anyone says they are one of several breeds that do sometimes need a little of the Cesar Milan treatment. A furous pitbull can be quite terrifying if only BECAUSE they are normally such sweet natured animals. 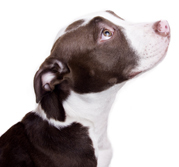 Pitties are special dogs and need special owners – with no prejudices, and no illusions either. They are “doggie” dogs, and need owners who genuinely like dogs. And of course there is a certain type of person who should NOT be allowed to own a pittie (or any other dog, ESPECIALLY any other kind of bull terrier). @RubyDog @PattyThadenWilliamson Having a pit bull does take responsibility, just like having any dog, and especially a large dog. But mostly because of the prejudice and discrimination, the responsibility is even more so, to counter those misperceptions. There are many types of dogs of all kinds that don’t like other dogs. What we are saying at StubbyDog is that pit bulls can have all the good or not so desirable characteristics of any dog. They are just dogs and should be judged as individuals. I really couldn’t agree more. 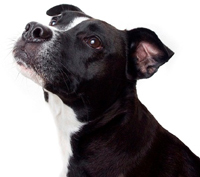 Pitties are a at least a manageable size – we have owned a really large dog and just managing her poo was a major task! My point is, in fact, exactly that – dogs are dogs, just like people are people. (I make an exception for people who organise dog fights, as far as I am concerned they are lower than a snake’s [email protected][email protected]#%$). Could someone please tell my pit that she is suppose to have a “streak of natural canine aggressiveness”? She is the welcome wagon for every person and animal that comes in the yard….. I hope you don’t mind but I am writing an essay on the positive side of pit bulls. I will be using your website and some of your articles in my essay. This week we have to write a 5 to 8 page essay in argument and persuasion. I will also be using my dogs and other stories as well to help the readers understand the breed better. @AmyDavisBrakhane Of course we don’t mind, please use all the stories and check out our resources page for great information. Best of luck!